Please check the size chart carefully before purchasing. Chose the best size for your angel. Size:12M Label Size:80 Bust:56CM/22.0" Sleeve:30CM/11.8" Top Length:37CM/14.6" Pant Length:48CM/18.9" Height:75CM. Size:24M Label Size:90 Bust:60CM/23.6" Sleeve:32CM/12.6" Top Length:39CM/15.4" Pant Length:50CM/20.0" Height:85CM. Size:3T Label Size:100 Bust:64CM/25.2" Sleeve:34CM/13.4" Top Length:41CM/16.2" Pant Length:52CM/20.8" Height:95CM. 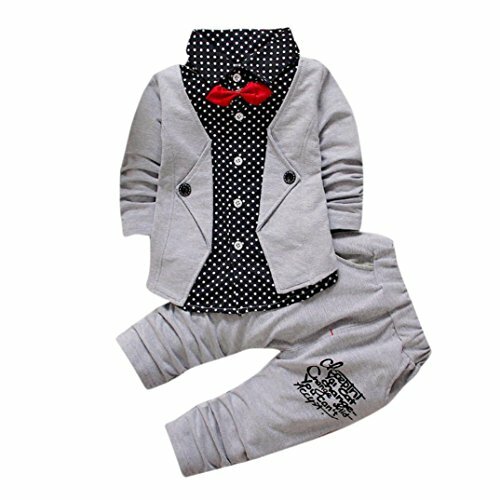 Size:4T Label Size:110 Bust:68CM/26.8" Sleeve:36CM/14.2" Top Length:43CM/17.0" Pant Length:54CM/21.6" Height:105CM. If you have any questions about this product by Misaky baby care, contact us by completing and submitting the form below. If you are looking for a specif part number, please include it with your message.